Event production and design business serving Hartselle and the surrounding regions. Fine Era Productions handles weddings, proms, conferences, live performances, festivals, and more in all of Alabama. 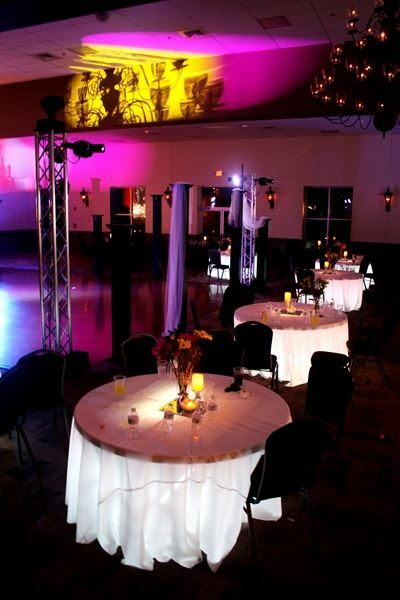 Services include quality audio, lighting, staging, photobooth, DJs, and more. Let us help make your event look, sound, and feel great. We want to work closely with organizers to ensure a successful, memorable event. Bluewood Productions is a production company based in Huntsville, Alabama. We provide our services throughout the United States. We offer live audio, lighting, and video services for concerts, corporate events, weddings, and parties. Give us a call! Our staff can help get the planning stage of your event started! We have a rapidly expanding inventory of equipment including wireless microphones, the latest technology in digital audio and lighting consoles, video cameras and projection, and pipe and drape.